Considering the low skill and low per capital income of majority of developing countries' farmers, an alternative equipment to replace manual harvesting of grains like rice and wheat must not be made sophisticated but cheap enough to operate and own. Stripper harvester's technology is simple and can be made big enough to replace conventional combine harvester's head for large farmland. The grain stripper detaches grains from the stalk head at high speed with insignificant mechanical damage to the grains and conveyed the stripped materials well into the harvester's grain tank from where it is discharged out for final cleaning. Alex Folami Adisa is currently a lecturer in the Department of Agricultural Engineering, Federal University of Agriculture, Abeokuta, Nigeria. He holds B.Eng (Agric.Engineering), ABU, Zaria, Nigeria; M.Sc (Agric. 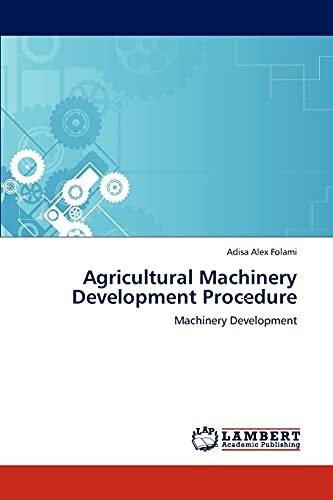 Mechanization),Cranfield Institute of Technology, Silsoe Campus, England and Ph.D (Farm Power and Machinery), ABU, Zaria, Nigeria.